I made little goodies for my peeps that went strawberry picking. Chalkboard paint to the rescue! Super simple. 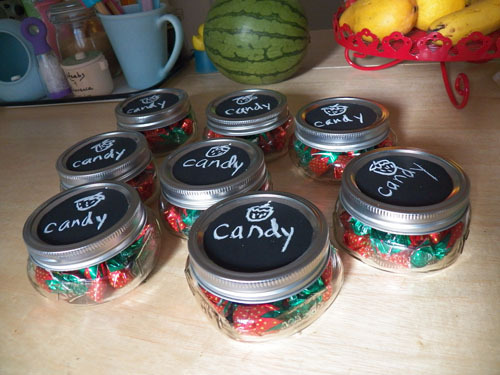 Painted the lids of some cute mason jars with chalkboard paint, filled them with strawberry candy, then drew a soggy looking strawberry on top. 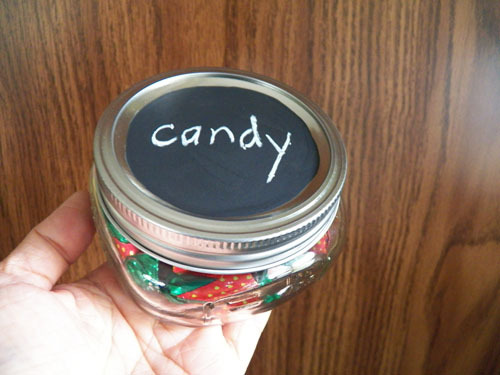 I wrote candy just to help solidify what was inside. This is sort of retrospective but it's Day 21 of 30 Days of Creativity.